Ford’s announcement that all of its vehicles will come with an advanced driver assistance systems package standard has major ramifications for the collision repair industry, both in terms of reduced volume and more complicated repair procedures. 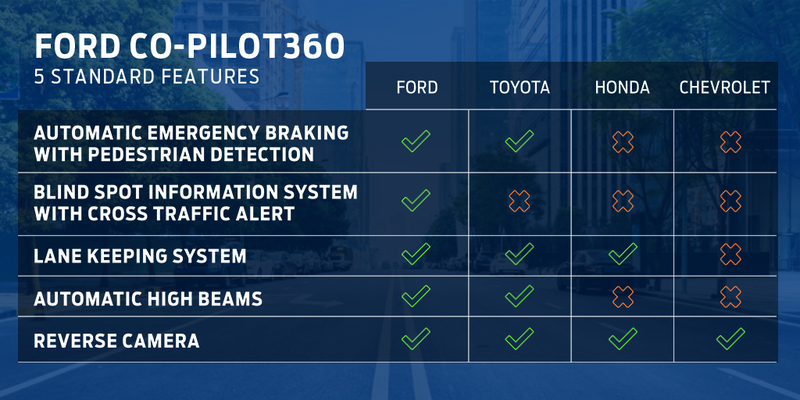 2019 will mark the start of the rollout of Ford Co-Pilot360 to all of its passenger vehicles, according to Ford. The ADAS suite includes features like autobraking and automatic lane keeping. 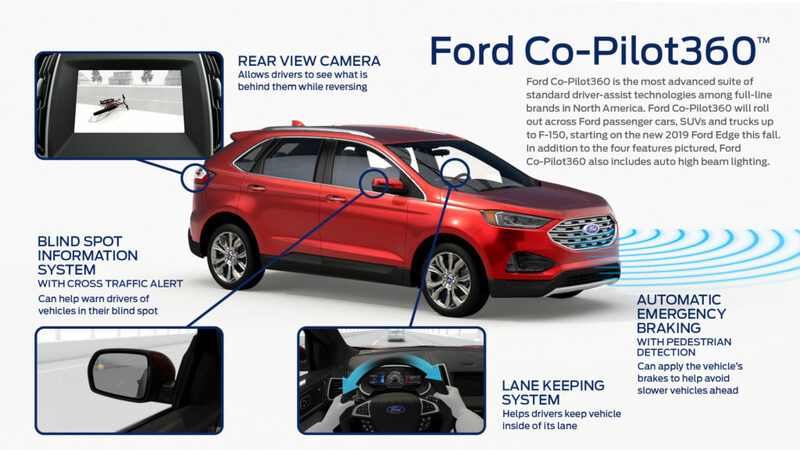 Ford North America product communications manager Mike Levine said the rollout will begin with the 2019 Ford Edge and continue to progress as the new versions of each vehicle is produced, with most Fords offering Co-Pilot360 standard by 2020. He said the OEM wouldn’t wait for a generational shift in a particular model to make the tech standard, and the tech would be standard on all trims. Levine said the suite would be more advanced than standard packages on GM, Nissan, Honda and Toyota. The Co-Pilot360 system has automatic braking, pedestrian detection, lane keeping, automatic high beams (the car can sense oncoming traffic and switch from regular to high beams to avoid blinding the other driver), blind-spot monitoring, rear-cross-traffic alert, and the backup camera all OEMs must include starting May 1. Ford said it will also add reverse autobraking starting in 2019. Pedestrian detection is important given both potentially increased distracted driving but also what’s known as “pedtextrians” — distracted walkers too busy checking their smartphone to look both ways. “The technology addresses Ford research showing a growing trend of people worrying about hitting pedestrians – and will be standard on 91 percent of Ford vehicles in North America by 2020,” Ford wrote in a news release. By 2020, Ford will offer options for individual versions of some of these systems on the E-Series, F-650, F-750 and F59. Levine said the ADAS rollout would include the Ford F-Series, which Good Car Bad Car results indicate is the No. 1 vehicle in America in 2017. Ford and Toyota — which also offers its Safety Sense standard on virtually everything — are tied as the country’s No. 2 OEM, according to Statista. That means shops are going to feel the loss of a lot of Ford collision volume over the coming years, based on ADAS crash reduction data from the Insurance Institute for Highway Safety. Autobraking combined with forward collision warning can cut rear-ending by as much as 50 percent. Blind spot monitoring can cut lane-changing crashes by as much as 14 percent, and lane departure warning alone — not even automatic lane keeping, as Ford’s system does — cuts them 14 percent, Highway Loss Data Institute research found. 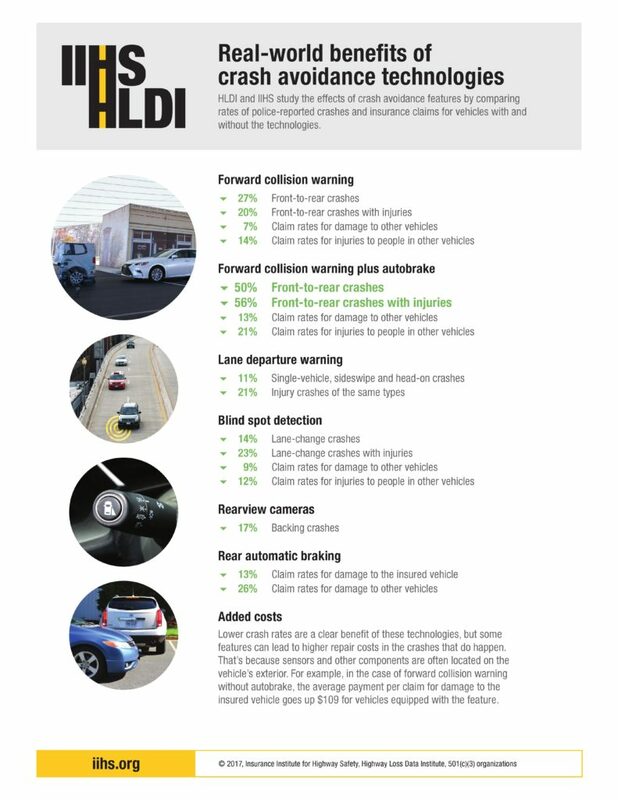 A recent Honda study of its own ADAS suite even suggests severity might fall overall, rather than increase slightly given the more expensive tech and repairs. The repairers who do work on these Fords must take particular care to recalibrate all of this technology to OEM specifications to continue protecting the customer — and other drivers and pedestrians you don’t even know. Some body shops won’t be equipped or trained to restore these systems and will end wind up having to sublet to dealerships, something that needs to be taken into account by repairers, customers and insurers. Hunter Engineering alignment senior product manager Kaleb Silver has said one common Ford lane departure warning calibration involves attaching a scan tool, putting the car in learning mode, and driving above 40 mph for about 5 minutes. The car “essentially calibrates itself” by looking at road markings, he said. While shops will face increasing complexity with the standard Co-Pilot360, they at least can take comfort in what Ford says will be fewer build combinations to keep track of. Ford-heavy facilities might get into a more comfortable groove, though of course they’ll still have to look up build data and OEM repair procedures every time.